The Polo Pony has the stamp of a horse with excellent conformation conducive to speed and agility, depth through the girth and boundless with courage and stamina. All of these attributes have been applied to the development of the Polo Pony Simulator, and it is renowned as the most advanced teaching aid in the world of polo. She became an instant success with players of all abilities, experienced coaches and even non-playing spectators who became instantly attracted to her graceful movement, as well as the perfect platform that she provides for mastering their polo shots. Indeed, it is the unique technological details that take this machine a thousand chukkas beyond the ‘wooden horse’ concept. Both new and experienced riders relish the motion of a real polo pony while rapidly learning the correct riding position needed to learn the many different polo shots. The rhythm and balance a rider achieves is unmistakably like that of any player’s favorite ‘stick and ball’ pony’. Control of the machine is via the mouth sensors that respond to realistic ‘checks’ on the reins, to bring the machine to a steadier canter or to a complete stop; just like a well-schooled pony! To highlight a player’s correct position in the saddle when playing their shots, sensors are located on the mane and beneath the saddle at the ‘knee roll’ position. A light is illuminated when the correct sensors are contacted, confirming that the ‘brace position’ is applied. 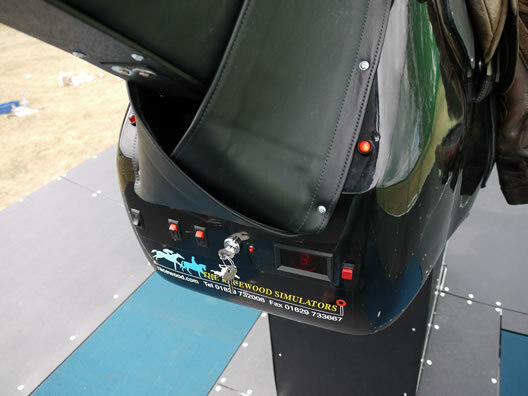 While the sensors and movement are incredible, perhaps the most innovative and compelling facet of the Polo Pony Simulator is the ball delivery system. Using an artificial polo field that works on a conveyor belt, the polo ball is constantly returned past the polo pony after every shot. A player can hit up to fifty shots per minute providing he has the strength, skill and stamina to match the machine. We have found this feature as one of the most compelling for practicing polo effectively! Price does not include shipping or installation. Please submit an inquiry for additional details. Thank you! Always a Good Ride will contact you shortly regarding pricing and shipping information, what each package includes, and any other details mentioned in your inquiry. Please allow up to 48 hours for a response.